Winter Care: Winter hardy, but good drainage is essential to prevent root rot. Does not like standing winter wet, that does not drain. Flower Form: Vivid rose purple flower spikes with long tubular blooms. 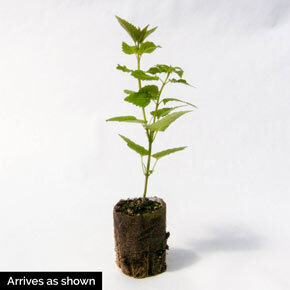 Foliage Type: Ovate, toothed, green leaves with a bronze overlay. Soil Requirement: Average fertile soil. Adapt well to dry soils. Additional Information: One of the longest blooming perennials. Blooms midsummer into fall. 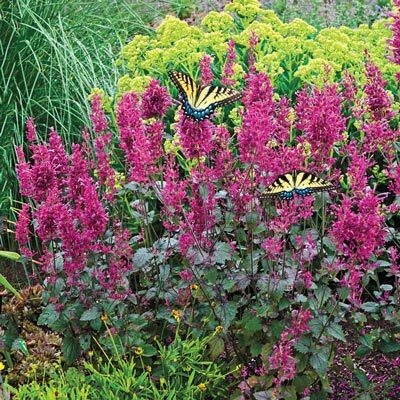 Attracts hummingbirds, butterflies and honeybees.